Avast, ye Wildcats! 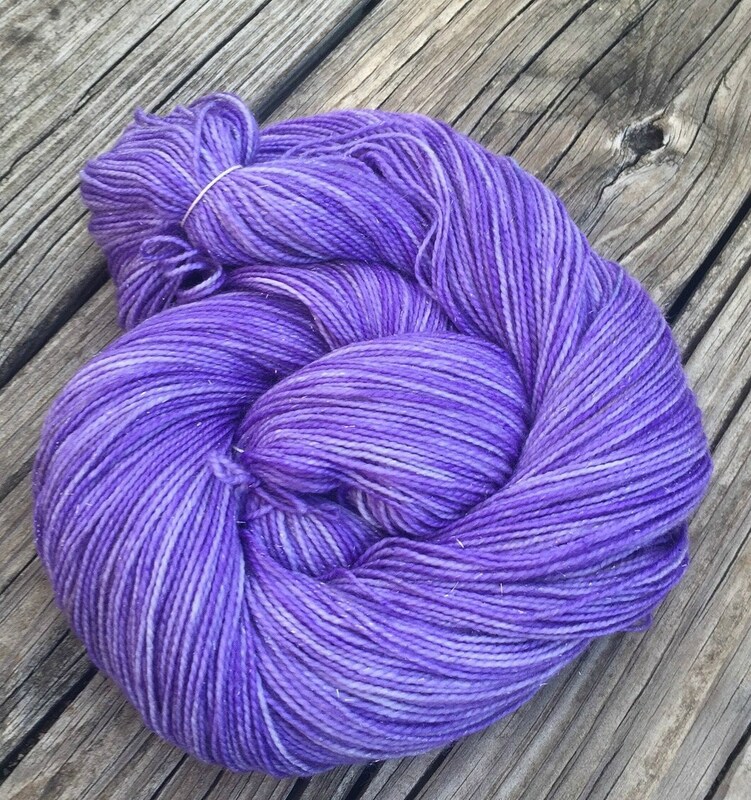 This yarn would be the perfect present for a K State (KSU) Wildcat fan too! 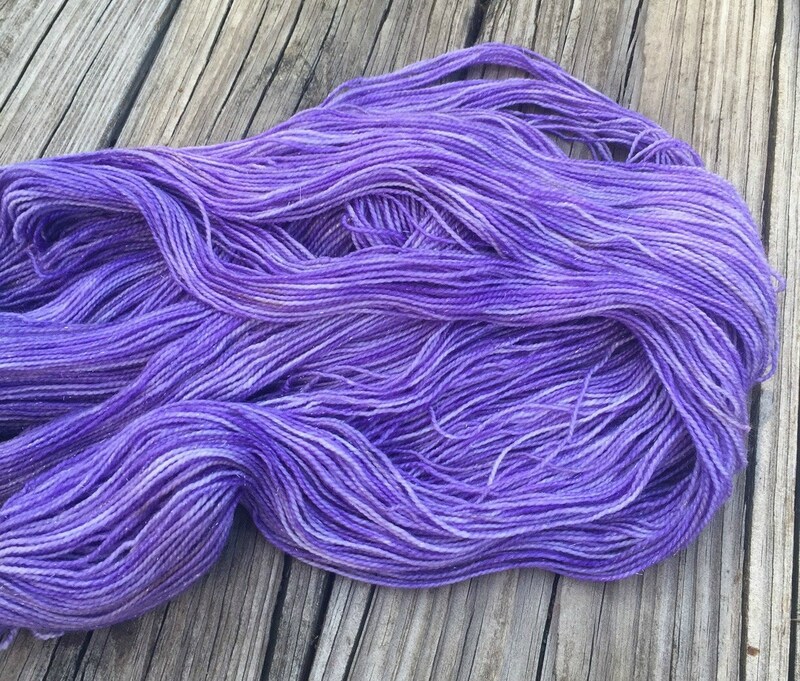 I dyed this yarn with professional acid dyes in shades of royal purples from light violets to intense rich purples. 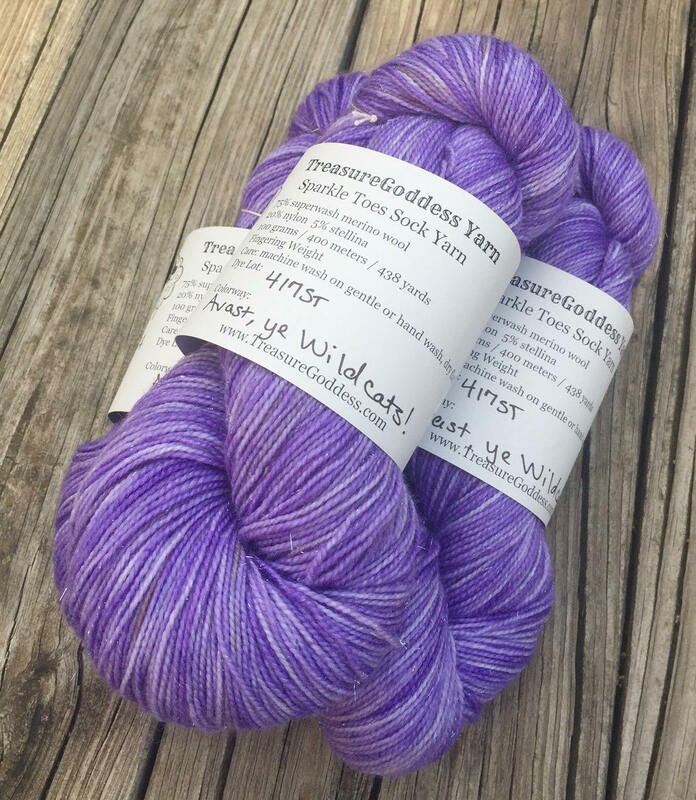 The intense colors with the sparkle makes this yarn a true treasure! 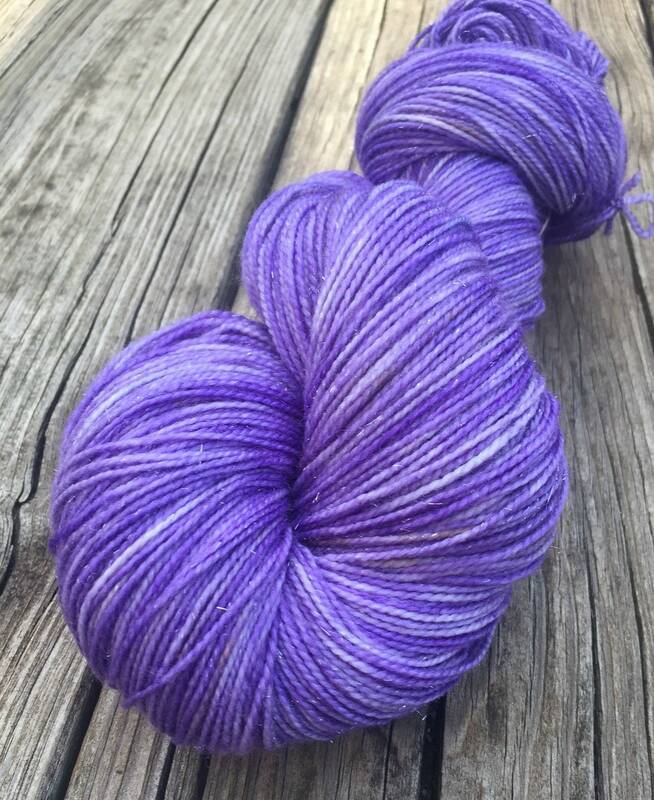 **Colors on monitors can be a bit different, I've done my best to represent this color. 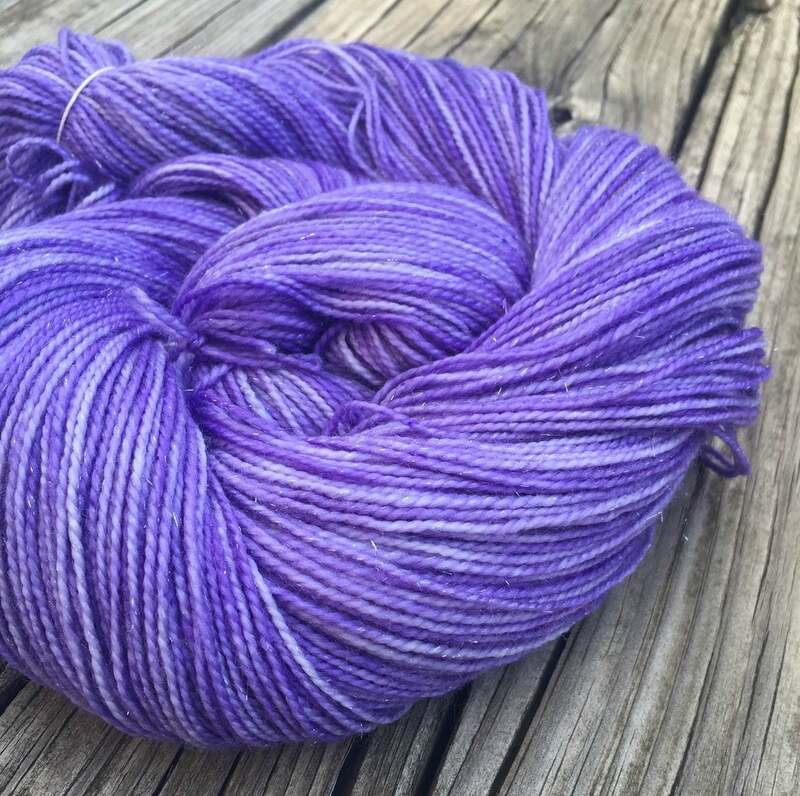 ** Two skeins from one dye lot and two from another.